From mighty projects to children’s playthings, construction is in full swing for Cee’s Black & White Photo Challenge this week. 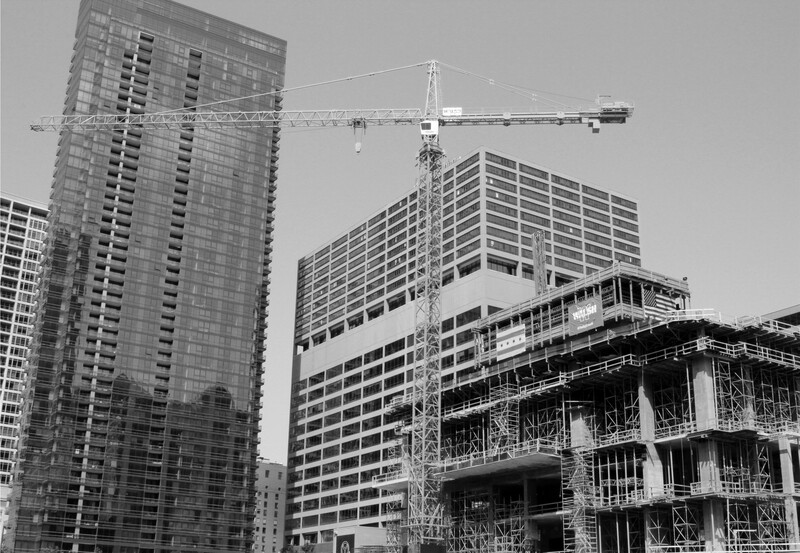 You don’t have to go too far to come across construction of one kind or another in downtown Chicago. Onward and upward! Why is it that so often when we visit places of interest they’re undergoing renovation or repair! Imagine traveling hundreds if not thousands of miles to take a picture of something only to find that it’s swathed in scaffolding! Of course, these days with modern technology at our fingertips, we can visit websites ahead of time to make sure everything is as it should be, but years ago photographers didn’t have the benefit of Google. 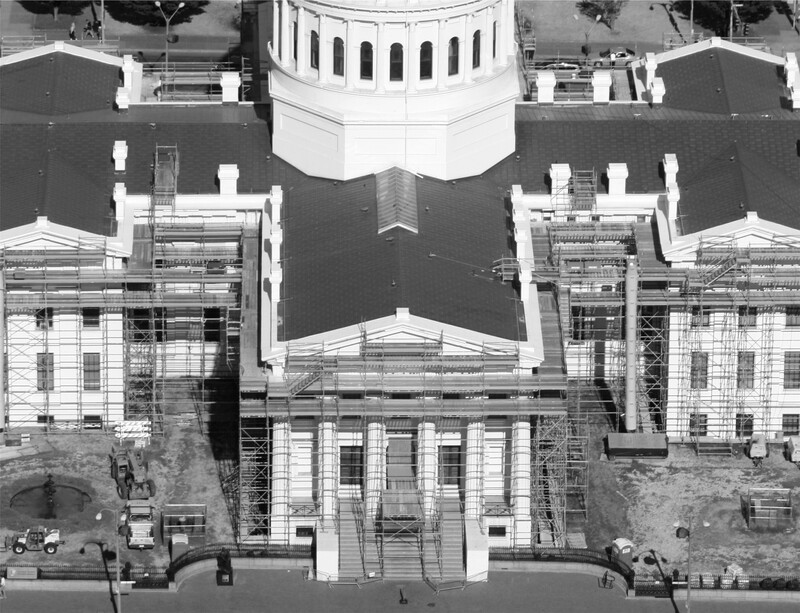 Fortunately, the Old Courthouse wasn’t our only reason for visiting St. Louis, although we did get a good view of the work in progress from the top of the Arch. 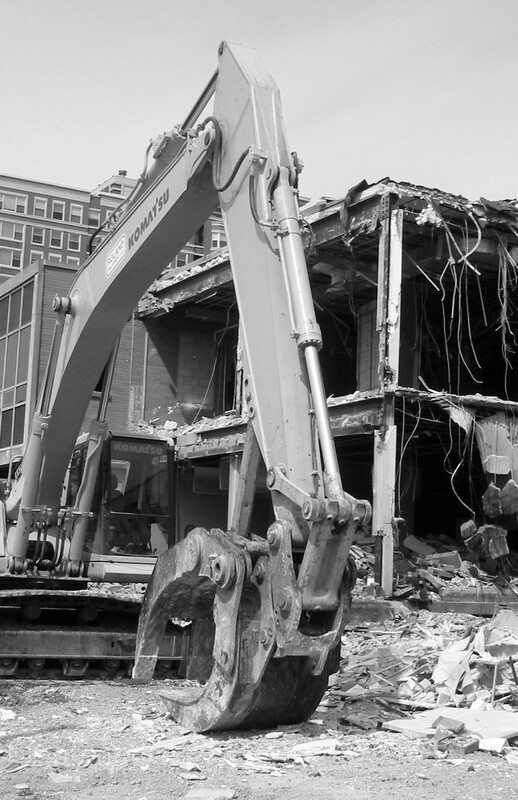 Sometimes construction can involve a bit of destruction too. Is it the child in us that enjoys watching things being knocked down? I made sure to take some pictures when they demolished the old village hall in Arlington Heights to make room for the new, much larger one. 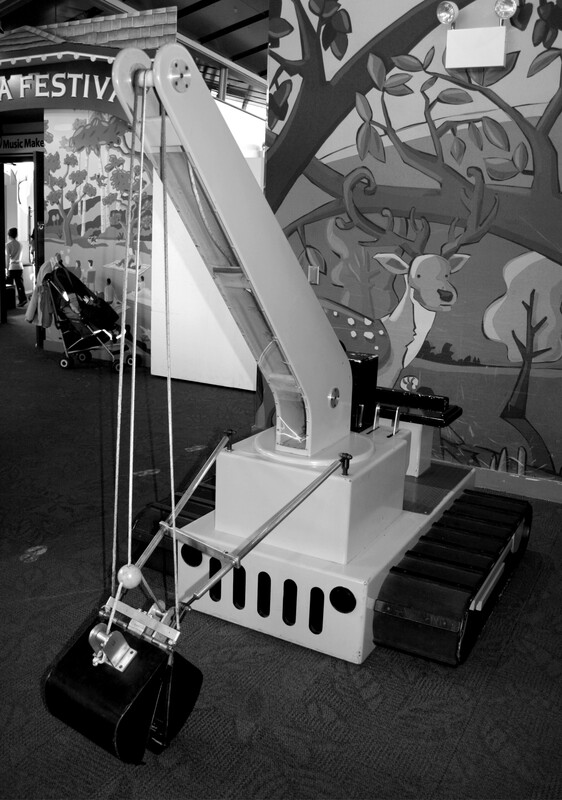 Maybe some of the operators of these giant cranes, bulldozers and mechanical claws got their start at the Kohl Children’s Museum in Glenview. I imagine many a tot’s hand that eagerly grasped the controls in this construction exhibit has gone on to bigger things, perhaps even the next giant skyscraper in downtown Chicago. 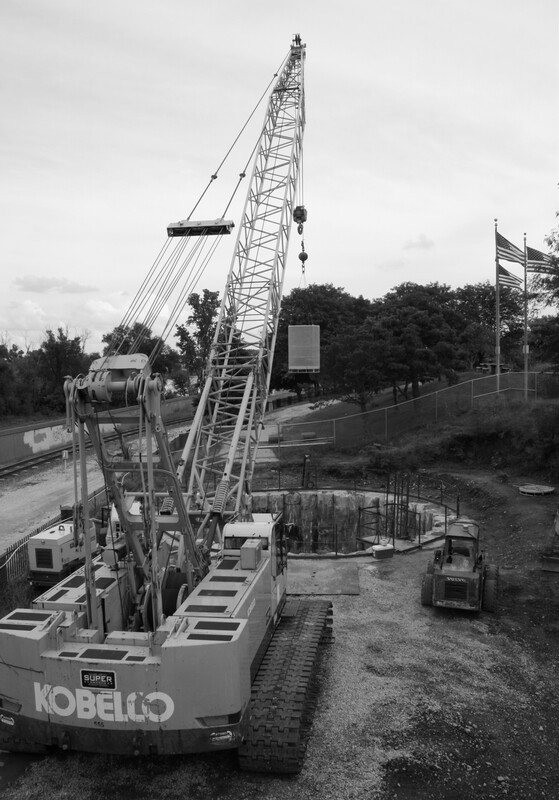 For more on Cee’s Black & White Photo Challenge go to Anything Construction Related.